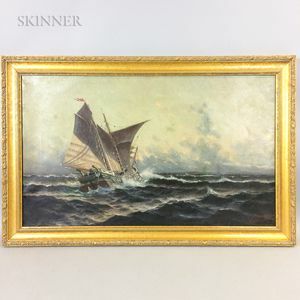 Sailing Vessel in Heavy Seas. Signed "Wilhelm Melbye" l.r. Oil on canvas, 18 x 30 in., framed. Condition: Patch reinforcements, retouch, surface grime.